If you are a Nature and Culture lover, then this tour is perfect for you. You can have group of 12 peoples maximum and even well organized 18 people. These tours gets you up close and personal with the people , cultures and nature at its wilderness. 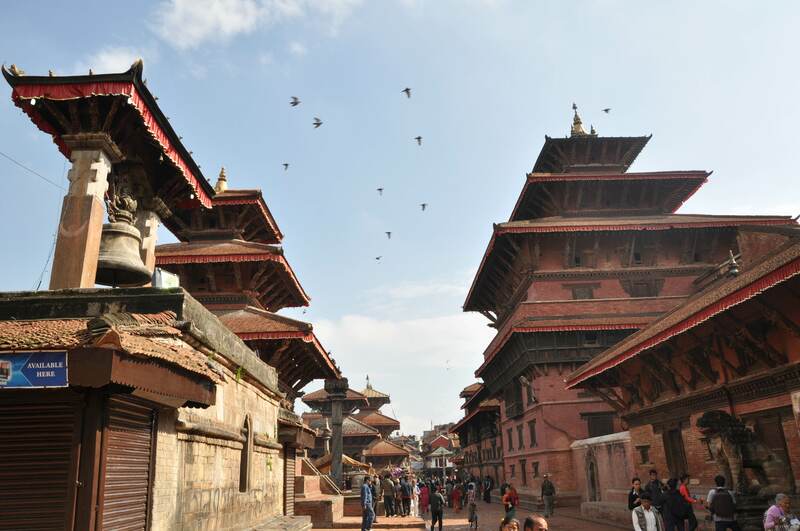 From the city of Kathmandu, to the city of art Patan, to the ancient city of Bhaktapur, towards the lake in Pokhara and its surrounding beauty and to the jungle of Chitwan to south of Nepal. Spiritual , friendly and natural is connected from every direction of this trip. Making your travel a memorable experience to share with your friends and relatives back home. Day 01 : Arrival Kathmandu, transfer to Hotel by our Representative. Short brie ng for the trip. Check in to the Hotel. Evening Welcome Nepali Dinner with Culture program. O/n Hotel. Day 02 : A er Breakfast Sightseeing of Pashupatinath , Boudhanath and Swayambhunath Stupa. A er Lunch Sightseeing of Patan City.O/n Hotel. Day 03 : Drive (5-6hrs) or y (30min) to Pokhara. A ernoon Pokhara Valley Tour.O/n Hotel. Day 04 : Full day sightseeing at Pokhara . Hike to Sarangkot, visit to Bindabasini Temple, Mahendra Cave, Seti River Gorge, International Mountain Museum, Devi’s Falls etc. O/n Hotel. Day 05 : Drive to Lumbini, evening visit Birth place of Lord Buddha.O/n Hotel. Day 06 : Drive to Royal Chitwan National Park.O/n Resort. Day 07 : Full Day Jungle Excursion, evening Cultural Program.O/n Resort. Day 08 : Drive or y back to Kathmandu. O/n Hotel. Day 09 : A er Breakfast, Sightseeing Tour of Bhaktapur and changunarayan temple. drive to nagarkot O/n Hotel. Day 10 : Transfer to Airport for the departure. Accommodation as per di erent standard of your choice with Breakfast. English Speaking local city tour guide. All the ground transportation as per Group Size & standard of Tour starting to end of Tour with driver. Car parking fees and fuel. All fees on Tour. All the expenses of personal nature, drinks, lunch and dinner except Welcome Dinner, tipping, all the delay due to weather, situation beyond our control, Nepal Visa and Airport Tax etc.